Enjoy the fun of painting without the mess! The unique design of these no-drip pens means a smooth flow of paint with no squeezing. The colors wash from skin and most clothing. 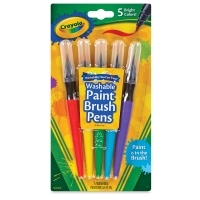 Set of 5 — This set contains 1 each of 5 colors, including Red, Yellow, Green, Blue, and Purple. 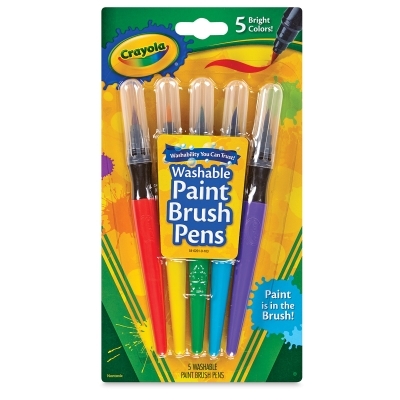 Set of 40 — This set contains 5 each of 8 colors, including Brown, Red, Orange, Yellow, Green, Blue, Violet, and Black.